The IS250 is finally gets its long-overdue power with our release of the supercharger kit for Lexus IS250. With our Stage 2 pulley and optional ethanol or methanol add-ons, IS250 makes a whooping 370 wheel horsepower more than doubling the stock engine power! Author Simon RabanPosted on March 3, 2019 March 3, 2019 Categories New Product, NewsTags IS250, Lexus, Power, SuperchargerLeave a comment on RR Racing Makes History, Again! Throughout our years of operation, we have had many customers consistently say, “When are you going to come out here” “You should see the sights and come meet us”. And what a better way to expand our already great customer service and knowledge than actually start seeing our customers in person! Well you’ve asked and we made it a reality to meet our customers and see what they’ve done in terms of taking their Lexus to the next level. Sean, our sales & marketing manager, had the pleasure of representing RR Racing in our first trip to Colorado. The rest of this article, is Sean’s account of his visit accompanying with many terrific photos (Sean is also a passionate photographer). Enjoy! 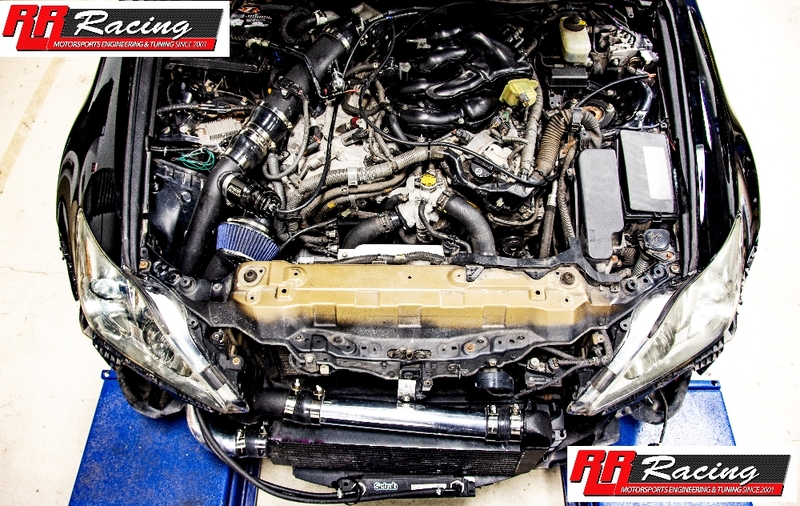 As many of you know, the roots of our business is in many projects modifying Subaru WRX. In the last three years, we have been hard at work developing the Lexus IS/GS/RC350 platform and making sure that our customers can extract the maximum performance from these cars, at a reasonable price. Our IS/RC/GS 300/350 supercharger kits now produce a reliable 445whp output, all while maintaining the excellent reliability of the stock engine and transmission. We offer a range of other products, such as suspension and brake upgrades to bring these cars up to true ultra-high levels of performance. Author Simon RabanPosted on October 5, 2018 October 5, 2018 Categories Information, NewsTags Lexus, Modifications, Performance, SubaruLeave a comment on Modifying a Lexus Vs. a Subaru — Which Brand Comes On Top? RR Racing’s tuning team is continuing to develop new and exciting tunes for Lexus. This time it is the IS250’s turn! 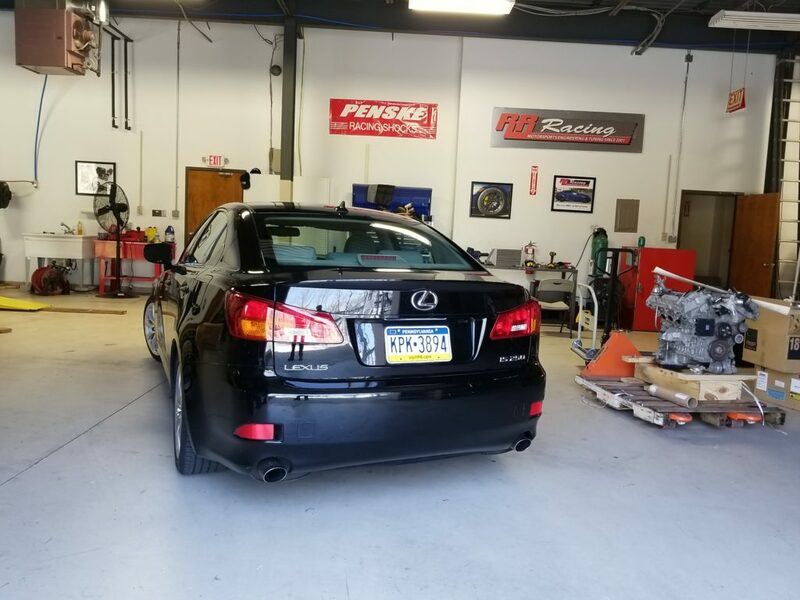 As some of you may have seen on the social media, several months ago, we purchased an IS250 RWD manual car to do some development. We loved the manual transmission, but we were skeptical of how much power we can extract. We were very surprised with the results! Author Simon RabanPosted on August 3, 2018 August 5, 2018 Categories New Product, NewsLeave a comment on New Tune for Lexus IS250 Released! 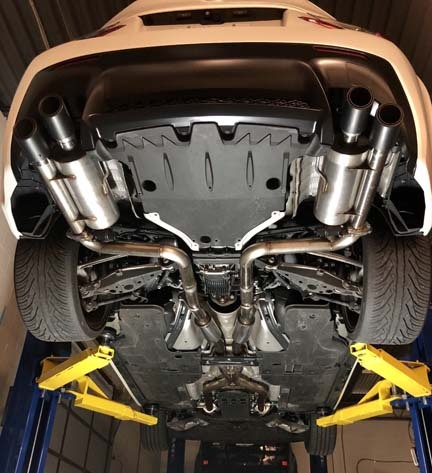 RR Racing is very happy to release four new exhaust systems for Lexus RC F and RC350 (RWD and AWD versions). We have been working on these new systems for a while with our partner PPE, and we are very happy with the final results. RR Racing’s customers are making history setting new records with their RR625 supercharged ISFs. Jason Franz of California set a new 1/4 mile record run with 11.1 seconds at 128 mph on street tires. Clayton Miler hit 190 mph top speed at the Mohave Mile. RR Racing is continually seeking to increase power of its supercharger kits. We have been working hard on a new ethanol kit and tune. We are happy to report that we were successful in increasing the power of our ISF Supercharger kit RR625 by 40 whp! 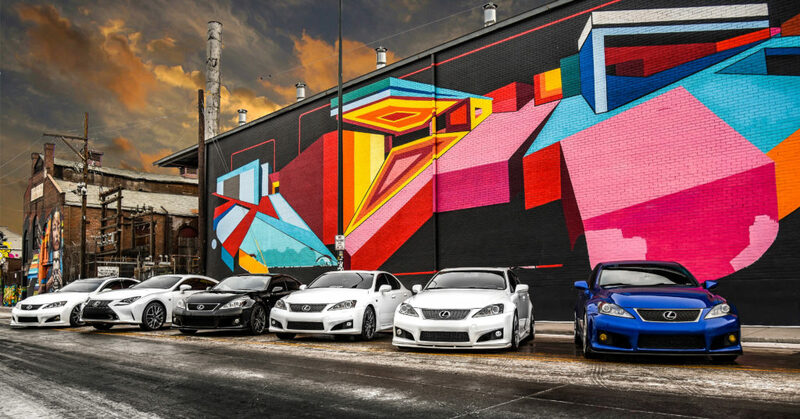 ISF is one of the greatest sport sedans Lexus has ever released. What other car can feel as comfortable on the road as it feels on the track?! RR Racing is known world-wide for its products that make Lexus ISF into a true world-class super sports car. Some of the most popular early products were the Ultimate Steering Response System (USRS) that makes the ISF steer better than any BMW, and the Air/Oil Separator – a popular modification for many other car models that was not available for Lexus. RR Racing made an improved canister and sells this useful product at a very affordable price. Now that ISFs get older, this presents their owner with an opportunity to make them even better. True that certain parts wear out and break, but RR Racing can replace them with newer, better performing, and less expensive parts. In the last few months, RR Racing introduced two of these type of ultimate products. We promised last year to release stage 2 tuning for our 3XX supercharger kit for Lexus IS300/350, RC300/350 and GS350 models and we now delivered for the AWD vehicles! RR Racing is Making History, Again! Check This Out Subaru, Audi, VW, and BMW Enthusiast! 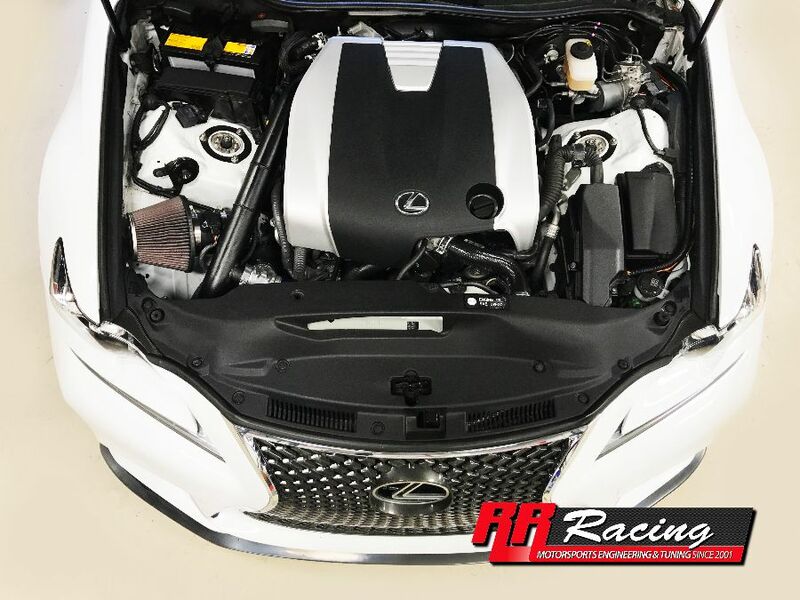 We have had no news updates for a while, but this was because we have been very busy with our latest monumental product release – RR430 Supercharger Kit for Lexus 3XX – this kit will fit all IS350/300, GS350, and RC350/300 models! More importantly, now Subaru owners can grow up and buy a Lexus! Lexus cars are no longer simply well-appointed Japanese luxury cars, but for the first time ever, offer a serious alternative to hugely popular “tuner” cars such as Subaru WRX & STi, as well as Audi, VW, and BMW’s. We released the new kit on October 31 2017 for IS350 RWD 2014 + (3rd gen). We have been working hard to release this kit for other model variations including IS, GS and RC RWD and AWD models. We will also release for all 2nd gen (2006-2013) models. We hope to gradually start releasing updates starting in November. Right now we have a GS350 AWD in our shop for installation. Please let us know if you have one of these models and would be interested to loan your car to us for a week in exchange for a free installation. Please press on the link below for more interesting information regarding this historic product. Author Simon RabanPosted on November 19, 2017 November 19, 2017 Categories Events, NewsLeave a comment on RR Racing is Making History, Again! Check This Out Subaru, Audi, VW, and BMW Enthusiast!